Gardening, is it a chore? Maybe it’s a satisfying change of pace from your hectic routine, or maybe you absolutely love spending time making your garden look its absolute best. Whatever your position we can help you. Thanks to our advice, tips, and reviews, you’ll find that mowing the lawn doesn’t need to be a chore. Beyond that we have even more information on all things garden related, continuing with our goal to create the most comprehensive garden equipment resource on the net. L learn about everything from what you can expect to pay for a petrol lawn mower to whether you’ve got a big enough garden to warrant buying one. Here we look at the essential features, and non-essential features to look out for when buying a petrol mower, as well as clear and direct comparisons of some of the most popular models to help you make an informed buying decision. 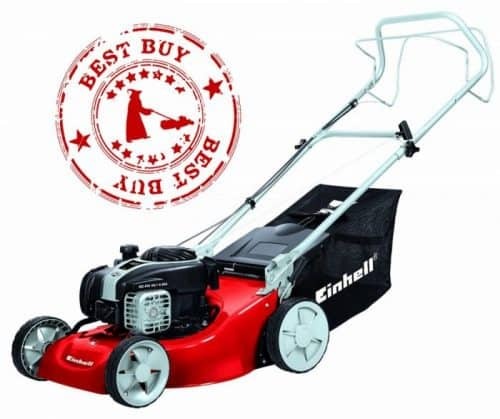 By far our favourite petrol lawn mower, this model from Einhell is a great all rounder, and it’s popularity among consumers speaks volumes about it’s reliability and performance. As a company Einhell are pretty modest, but their efforts in the garden tool world shouldn’t be overlooked, especially when they haven’t got the advantage of a household name to fall back on. A great clean and honest looking machine, the GC-PM has got a few surprising tricks up its sleeve. 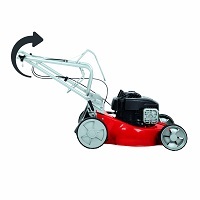 A massive range of cutting height adjust between 30mm and 80mm makes this one of the best push mowers for dealing with large and uneven areas, and the huge 65 litre grass bag, whilst slightly unwieldy, ensures you can go the longest time between emptying for almost any push mower. Throw into the mix a folding handlebar that makes easy for people of all heights to use, as well as making stowage easier than ever, and you’ve got something quite special. With nearly 80 years experience in the business of engineering, it’s fair to say that Honda know a thing or two about what makes a well engineered product, particularly when it comes to combustion engines. It’s small wonder then that much of this knowledge and experience has been integrated into the design of of several ranges of highly successful lawn mowers. Perhaps the most popular of all is the ‘Izy’ range, designed to bring petrol driven lawn mowing to the masses, with a range of features to make the experience a more pleasant and user friendly one than you might expect. The HRG416SK is one of the biggest seller in the Izy range, and it isn’t difficult to see just why it has the appeal it does. Normally when you think of petrol lawn mowers you tend to think of big heavy, smelly, and worst of all, noisy machines that aren’t for the faint of heart, both as a user and as the neighbour of one! The engineers of this mower have worked hard to reduce the noise it produces by around a third compared to earlier models, which is a massive saving you’ll no doubt agree! We’re not saying you can put the ear defenders away just yet, but at the very least your lawn mowing will be less of a nuisance to your family and neighbours with this machine. McCulloch might have a bad reputation in some circles, but we’re certain this isn’t justified – like Skoda cars before them, their reputation is on the up, and for good reason. The M46-125 is a robust and sturdy machine, looks wise it means business, and as far as performance goes it works even better. A massive cutting width and grass collection box are all the clues you need to realise this mower is meant for bigger and better things than a smaller or electric mower, it’s ideally suited to large gardens and no matter what you put it through it’s range of cutting heights, and large grippy wheels will get you there. One of the neatest features of all? Well, once you’re done mowing, you can make a proper job of making sure the deck and blade are properly cleaned and in fine fettle for your next cut, thanks to the rather simple, but remarkably effective hose connection port, which quite simply washes the underside of the mower clean of grass and muck, all without having to turn the mower over, thus encouraging you to clean thanks to the ease and simplicity with which you can. You might be less familier with the name ‘Frisky Fox’ as far as lawn mowers are concerned (if it rings a bell in other ways then that’s a different story! ), but in any case they’ve managed to produce a great entry level petrol lawn mower to rival the likes of Honda and McCulloch. 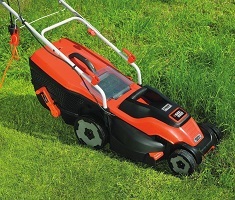 Whilst not perfect (it’s pretty heavy, and the self propulsion isn’t the best, Wolf have done a great job at producing a petrol lawn mower that ticks all the boxes whilst remaining competitively priced. 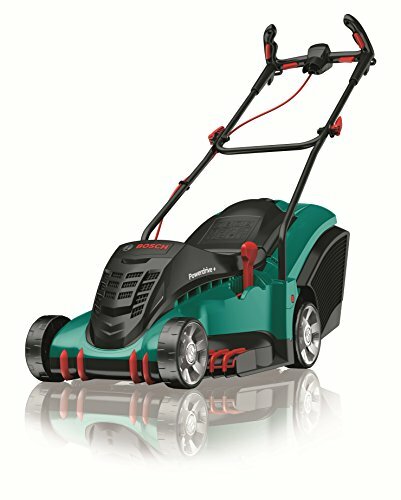 Of course this has come at a cost, and some of these features are more of a ‘tick in the box’ rather than a serious solution to the problem, but none the less if you’re looking for a petrol mower that collects, mulches or discharges, for a price tag that rivals all the competition, you’ll get that with this mower. 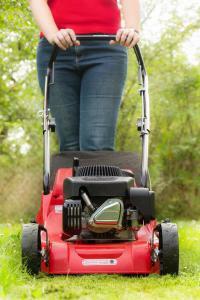 Electric Mowers are the number one choice for most people, but does that include you? Check out this handy guide to see whether an Electric Mower suits your needs, and if so what to look out for when buying one. Gimmicks and large price tags are all very well, but unless you know exactly what you’re looking for you could easily be left disappointed with your choice. 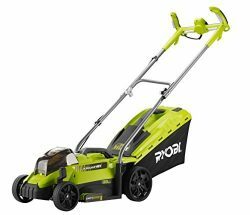 The Bosch Rotak 32, not only is it one of the most popular lawn mowers on the market, and one of the best lawn mowers for a small garden, but it also comes from one of the most reputable manufacturers in the world of garden tools. Bosch have been in the game almost as long as lawn mowers have been commercially available, so they know a thing or two about how to produce decent, reliable tools. 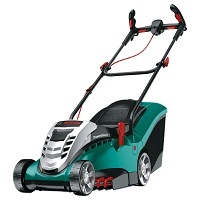 In terms of what this mower offers, it’s small, compact, and at just 7 kilos it’s no heavier than a couple of bags of shopping, so just about anyone young or old, can comfortably run it around the garden without any trouble at all. It’s scaled down in almost every respect, so it’s no good for cutting large plots, but make no mistake you couldn’t ask for a more comfortable experience- thanks to it’s ‘Ergoflex’ handlebars, and a rather nifty functional design that actively does everything it can to chomp through grass at a rate of knots, the Rotak 32R makes mowing the lawn a truly effortless task. No it’s not that we’re biased towards Bosch lawn mowers, ok well maybe just a little, but that’s only because they’re up there as the best all rounders available! Anyway, second only to the Rotak 32 is its bigger brother the Bosch Rotak 40, a machine that packs bigger punch than smaller models, though of course with a slightly steeper price tag attached. 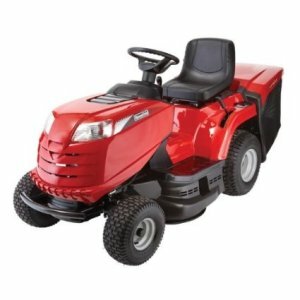 Among the really neat things about this lawn mower are its ‘Powerdrive’ motor system that increases the torque (speed and aggression to you and me) on the blade so that you can fight your way through really thick and overgrown patches of grass without worrying about the motor stalling or struggling against the load. Speaking of which, something else we shouldn’t overlook are the inset front wheels and ‘grass combs’ features, great design features that force the grass into the blade where it can be swiftly dealt with. Flying the flag for the other big player in the lawn mower mass market, the Black and Decker ‘Edge Max’ series is a fine alternative to the Bosch range, and offers a lot of clever features unique to Black and Decker. The Edge Max 1600 is the mid to upper sized model in this range of mowers, and has more great features than it’s possible to shake a stick at. However, not to be deterred, let’s have a quick look anyway. Hate having to empty the grass collection box? Who doesn’t? Well, Black and Decker are all too aware of this fact and have come up with a cunning solution to this very problem. This mower features a grass collection box that not only has a window to allow you to check the amount of grass collected thus far, but also a foot pedal mechanism to allow you to compress the grass when the box feels too full, thus making a bit more room, and saving you a few valuable minutes before finally resigning yourself to trekking over to the compost heap. 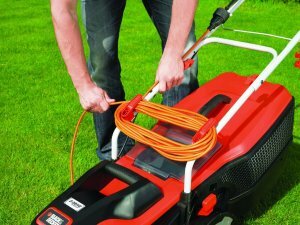 Think electric lawn mower and some people recoil in horror at the very thought of having a power cable trailing around, generally being both annoying and hazardous. Not so with the ingenious ‘Intelli-Cable’ feature, keeping the cable as far out of your way as you could hope for without making the jump to cordless power. For those looking to tackle a very small garden, there are two primary choices: you can go for a manually powered mower, which can be labourious to use, or you opt for a small electric lawn mower. If you go with the latter, the usual option would be the Bosch Rotak 32, which is a fine bit of kit, and not much comes close in its class. Alternatively you could choose the Flymo Easimo, which is by no means as glamorous, but it is significantly cheaper. Flymo aren’t just known for their hover mowers, they actually do a fine range of conventional ‘wheeled’ lawnmowers of which the Easimo is the smallest. If you don’t plan on using your lawn mower particularly often and you don’t need to worry about achieving impeccable borders, the Easimo is a great option for a small garden. 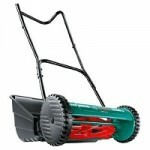 We must stress that it is only designed for a small garden, its 32cm cutting width and small 29 litre grass catcher will soon cause you headaches if you attempt to use it for anything larger. Hover mowers are a bit of a contentious area, they work well in certain situations, but only if you don’t plan on collecting the grass as you go. If you’ve a got a need for one at a domestic level then the Flymo FTL330 is one of the better choices you’ll find on the market. If your garden is on a slope and it makes sense to be able to sweep the mower from side to side, or back and forth, then this hover mower will be just the ticket. At just 6kg its light enough for you to be able to move around as you wish when powered up, and also for you to carry when transporting it to and from your garage or shed. 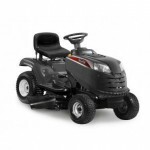 More rugged than a lot of previous Flymos, this mower features a steel blade that can be sharpened, unlike plastic blades which must be periodically replaced. 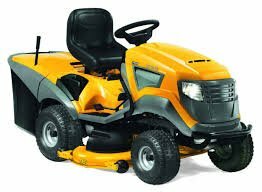 Despite this, you shouldn’t expect too much from this mower, and going over heavy scrub and overgrown grass will cause it to jam and stall. All the freedom of a petrol mower but without the messy fuel and noisy engine. 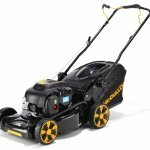 If this sounds appealing to you then you’re not alone, cordless lawn mowers are among some of the most popular on the market today. Check out the comparison guide below. We really like this machine for a number of reasons, one of the most obvious being that it just looks the part. It’s reassuring to know Evopower have taken time and care to create something a bit different from the norm, and crucially they’ve been able to retail it as one of the most affordable cordless mowers on the market. Evopower are by no means a household name, but we say good for them, and they deserve recognition for their efforts. That’s all well and good, but how does the EVO1536Li actually perform? Well for a cordless lawn mower it performs very well, it’s got all the right chops, a large (40 litre) grass collection box, an easy to adjust handle, and a plastic body that won’t chip or corrode. For the money you really cannot argue with what this lawnmower offers, and it would be foolish to overlook it in favour of more popular manufacturers purely based on their reputation. Yep you guessed it, Bosch have found their way into the cordless mower market as well, in fact they were one of the first to do it about 10 years ago. Suffice to say then Bosch have a bit of experience in this field, and now have a number of cordless lawn mowers to their name, with the Rotak 37Li being the mid range model (the 37 indicating a 37cm cutting width), though there are 32, 40, and 43 cm models available too. What’s great about the 37Li is that it’s a good ‘Goldilocks’ machine as far as cordless mowers go, yes it’s expensive but there are much more expensive models, and yes it’s heavier than a standard electric mower, but not so much so that it becomes completely unwieldy. 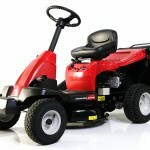 Best of all this mower isn’t going to keep you waiting around all day to get started cutting the grass – with a recharge time of just 30 minutes that gives you just enough time to grab a cold drink and take the weight of your feet half way through your mowing session should you need to. 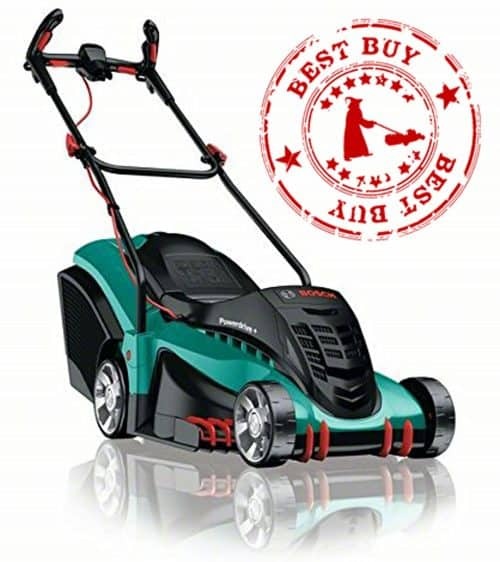 Not to be outdone by their closest competitors, Black and Decker have also come up with a mean looking, top performing cordless lawn mower that delivers great lawn cutting performance, unbridled by a power cable. 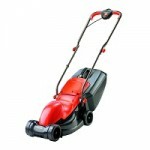 Like all cordless mowers it’s a little on the heavy side at 15kg, and this is something you’ll certainly need to consider before you buy, but if you’re comfortable with this you won’t look back. A great selling point of the CLM3820L2 is that it comes with two batteries, so the obvious solution to suffering any downtime is to simply have one on charge whilst you put the other to work in the lawn mower, ideal eh? 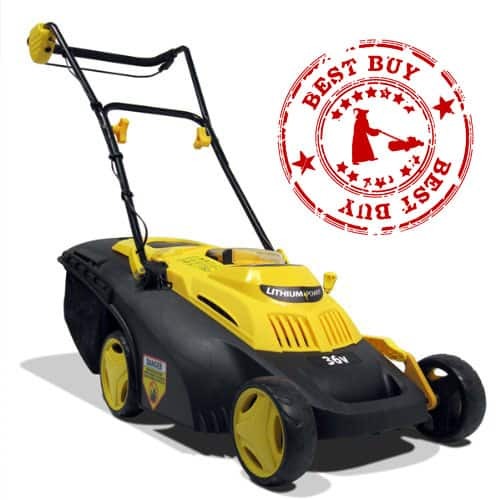 Ryobi make great tools, everyone knows that, but did you know they also make great lawn mowers? We were just as surprised as you, but there’s no doubting it, the OLM18X33H is a cordless lawn mower that throws down the gauntlet in front of the Bosch and Black and Decker cordless machines and puts up a damn good fight. Besides the usual features you’d expect: lithium ion battery technology, and typical ‘small garden mower’ stats such as a 33cm cutting width and a 35 litre grass catcher, the real standout feature is that this mower forms part of Ryobi’s ONE+ range of tools. This is collection of cordless tools, including drills, saws, leaf blowers, and other tools you might use throughout your home and garden that are all compatible with the same battery. The downside with this mower straight out of the box is that it doesn’t come with a battery or charger, but if you already happen to have invested in the ONE+ range that won’t pose any problem to you at all. Overall there is a real cost saving to be had with this system as you need only have one or two batteries to power an entire range of tools. 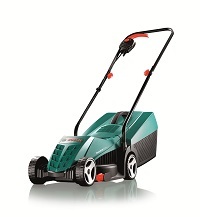 As far as how the battery performs when plugged into this mower, you’ll easily cut 200 square metres with it. Battery technology aside, we also really like how small the OLM18X33H folds down, and how much adjustability there is in the handlebars. The latter in particular might seem like a small thing, but it’s surprising how much more comfortable it can be when the handlebar is set to your optimal desired height. F or those with really large gardens there is really only one option as far as lawn mowing goes, the ride on mower. 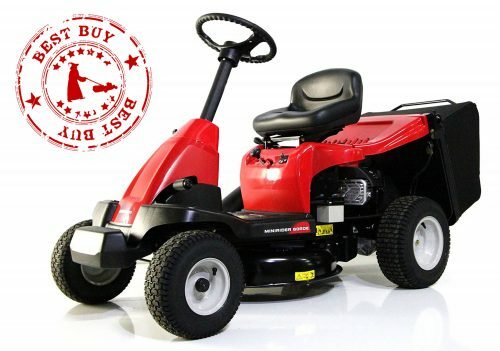 Here we’ll look carefully at what you need to consider when thinking of buying a ride on mower, as clearly it’s going to be a greater investment than a regular electric or petrol model. The perfect entry level ride on lawn mower, the Lawn King SG60RDE straddles the line between larger push mowers and ride on mowers. It’s narrow enough to fit through a standard garden gate and won’t take up a great deal more space in your garage than a larger pedestrian mower thanks to the grass collection box being removable, but of course you get all this plus the added fun and conveniance of a ride on lawn mower, particularly important if your garden is any more than a third of an acre or so. A step up in size to a large petrol push mower (think 60cm cutting width rather than 45cm) this mower will shave off (no pun intended) a great deal of time from your mowing session, whilst still being compact and conveniant, for example its step through design means you can easily get on board from either side and you won’t need to climb up as though the mower were some kind of mechanical horse! At the top end of the ride on lawn mower scale, this beast from Stiga is designed to cut large gardens with style and grace, and to give you some idea of what it’s geared up for, the massive 1.2 metre cutting width should give you a fair idea – this will probably cut the equivilent amount of grass in a third of the time that the largest pedestrian lawn mower will, so if you’ve got a garden greater than an acre or so, a mower of this caliber is an absolute must. Among its many luxurious features, the 7122 HWS boasts modern and easy to use controls, a multi functional cutting mechanism that allows you to both mulch and collect grass, and as you might expect for such a large and powerful mower, a large grass collection box – 320 litres to be precise! 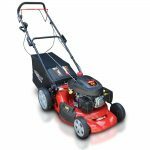 A solid workhorse of a ride on lawn mower, the Mountfield T38M-SD sits comfortably in the middle ground of ride on lawn mowers, both in terms of performance and cost, but that doesn’t make it boring or unispiring, there are a few genuinely surprising features on offer here, not least that its fitted with a Mountfield engine – not many lawn mower manufacturers can claim to have that kind of expertise in house, which gives you a good indictation of their dedication to producing high quality products. Besides a home made powertrain, the T38M-SD also features a contra rotating blade mechanism to comfortably obliterate the grass. Not only does this sound impressive, but crucially it’s also an efficient, quiet system. 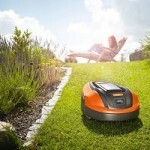 Robotic Mowers are increasingly becoming a viable alternative for many homeowners who simply don’t have the time, or indeed patience, to push a lawn mower around at the weekend, and whilst quite an investment financially, the Flymo Robotic lawn mower presents a genuine hands free lawn mowing solution. Just like Arnold Schwarzenegger’s infamous ‘Terminator’, this robotic workhorse ‘absolutely will not stop’, and therin lies the greatest advantage of all when it comes to robotic mowers; they continue to mow day in day out, taking off a little at a time to ensure you have a continuously impeccable lawn fit for a king. To drill down to some stats on the subject, the Flymo robo mower will obliterate 30 square metres of grass per hour, and on a single charge up to 400 square metres in total. So for those whose time is tight, or who value the precision results only achievable from a robotic lawn mower, the Flymo is a great starting point. 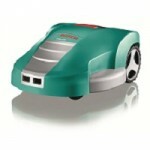 It costs less than many other robotic mowers and has a really simple to use user interface. On the downside we admit it doesn’t completely take all the work away from you; you might find yourself having to tide up the lawns edge if the mower perimeter wire doesn’t allow the mower to go right up to the border. Just as their conventional electric and cordless lawn mowers are tried and tested market leaders, Bosch have also made an impact on the robotic lawn mower market with their ‘Indego’ robo mower. A slightly greater investment than the Flymo, the main advantage this model offers is its ability to cut a larger area, 1000 sqaure metres rather than 400. Another ingenious feature that ensure the quality of cut is to a level of ‘machine like’ precision is the so called ‘Logicut’ technology. 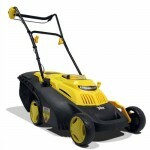 This ensures that that all areas of the lawn are cut to an equal depth and that no area is cut more than another. Just like other robotic lawn mowers, the Bosch Indego does suffer from being rather desirable to thieves, a programmable alarm system does aim to minimise the risk, but it would be advisable to put it away if you will be absent from your home for any length of time. At the polar opposite end of the lawn mowing spectrum, far from the microchips and circuits of robotic lawn mowers sits the ever reliable and ever popular manually powered lawn mower. One of the most popular models on the market today is this Bosch model, featuring all the same great design and build quality as their other mowers, but without the motor. 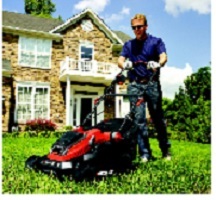 If you’ve only got a small patch of grass to cut, and you don’t mind rolling your sleeves up to do the job, then you’ll find a manually powered mower to be more than adequate for the job, providing you properly set up and maintain it. 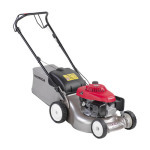 You’ll find that all manual mowers feature a cylinder blade design, which can be more of a challenge to maintain than a rotary mower blade, so that’s certainly something you’ll need to keep an eye on here. Providing you do treat it with respect of course, it will serve you well. Besides set up and maintenance, the other key selling points of the Bosch manual lawn mower include it’s lightweight (7kg) design, and a cutting width and grass collection capacity to rival many electric lawn mowers.